How much space do I require? The first of our mid sized units. 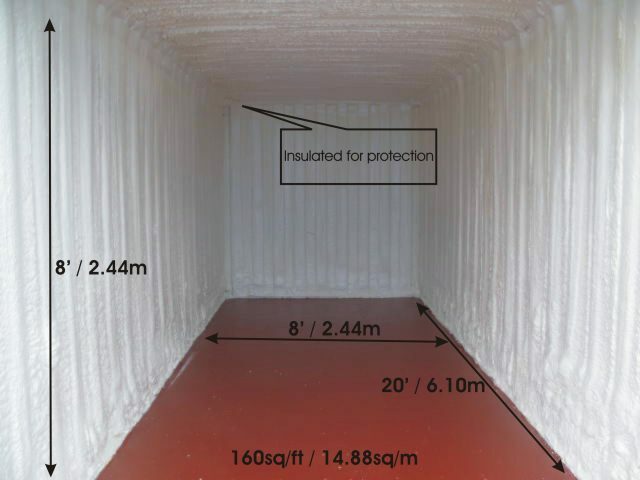 Insulated, 8′ x 7′ x 7′. 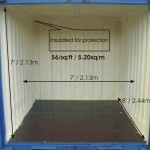 56/sq/ft or 5.20sq/m, 324cu/ft or 11.07cu/m. Medium White van sized in capacity. 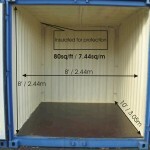 This unit will hold the contents of a studio flat, it will comfortably hold a three piece suite, mattress and several boxes. Just £15.60 per week including VAT. The half sized unit. 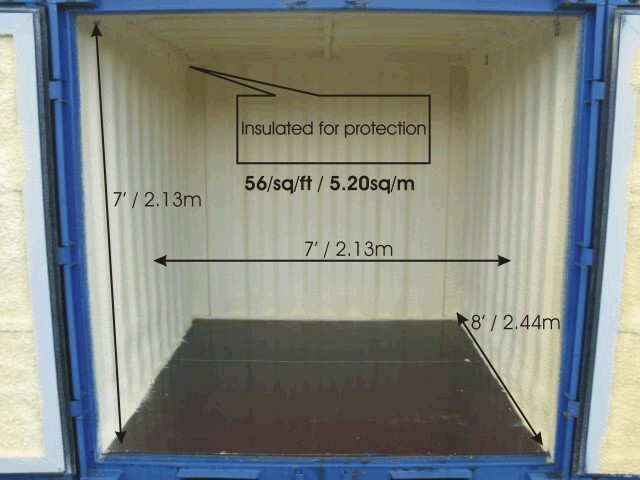 Insulated, 10′ x 8′ x 8′. 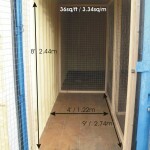 80sq/ft or 7.44sq/m, 556sq/ft or 18.16cu/m. This unit is Hi-top rental van sized. Suitable for the contents of a two bedroom flat or house including appliances. Medium sized office contents. £19.20 per week including VAT. The largest storage container at the depot just a bit bigger than a garage. 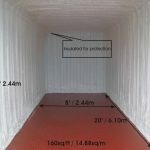 Insulated, 20′ x 8′ x 8′. 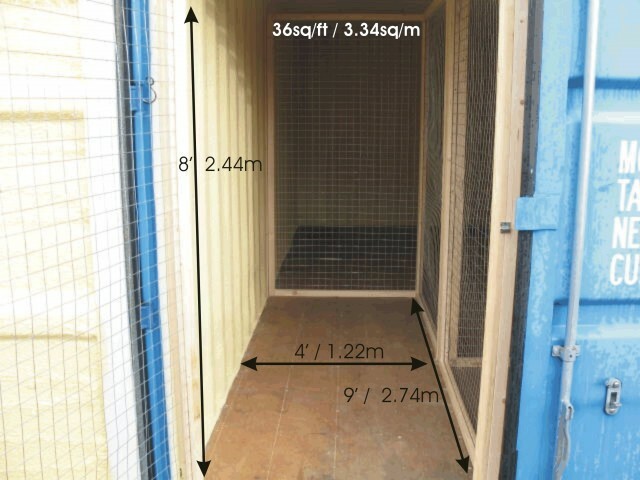 160sq/ft or 36.3sq/m 14.88cu/m. 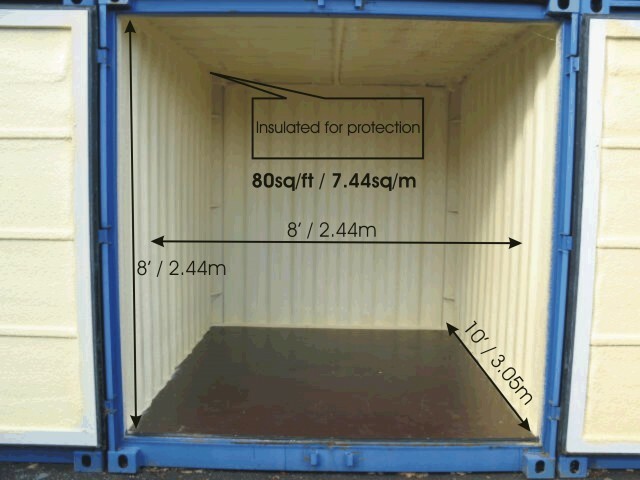 These units will hold the contents of a 7.5 tonne lorry which is normally sufficient to accommodate the contents of a good sized three bedroom house including all appliances and garage contents. £30 per including VAT.